I have to admit that I have a fairly lukewarm reaction to full-sized Lalaloopsy dolls. I enjoy looking at them in the stores, and some of the fairy tale dolls are super-sweet, but I have no desire to own any more of these oversized plastic characters. The Lalaloopsy mini dolls and the Lala-Oopsie horses, on the other hand, are a completely different story. The mini dolls have clever themes and adorable faces, and they come in small manageable packages, and the dolls are a size that is very easy to display and collect. The Lala-Oopsie horses, despite their obvious resemblance to My Little Pony figures, are wonderful little toys (and pretty good dancers). Because of my fondness for the Lala-Oopsie horses and minis, I have gotten into the habit of stopping by the Lalaloopsy aisle in Target and Walmart every now and then, just to see who is there and if perhaps there is a tempting sale. The other day at Walmart, I found an unexpected little cutie: a Lala-Oopsie Sea Horse. 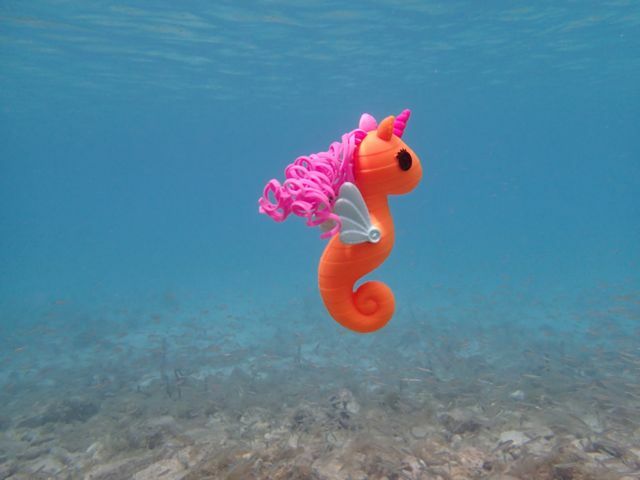 There was only one left, an orange unicorn named "Sunstar," but she probably would have been my first choice anyway. I love the color orange. Simultaneous to the wonderful Twice Upon a Year sale (thank you for the tip, Astroasis! ), the Disney Store updated their site with the 2013 princesses. If it weren't for Kate's comment about this release in the Our Generation review, I wouldn't have noticed in time to bring a few of these new dolls with me on vacation. Because of the big sale, all of the classic princesses (including the new ones) were $10 each. I've said this before, but I'll say it again--I've yet to find any other doll on the market that can deliver equivalent quality for this price. Assuming, of course, that the quality of Disney Store princesses hasn't changed much since last year. I was tempted to order several of the new princesses. Cinderella will have to join my collection at some point, of course, and I am also curious to see how the new Merida compares to her first release predecessor. I am surprised by how tempting I find this year's Snow White doll, too, even though she is my least favorite princess. I like Snow White much more after watching some of the charming ABC television series, Once Upon a Time, in which Snow White is a spunky, rebellious character. 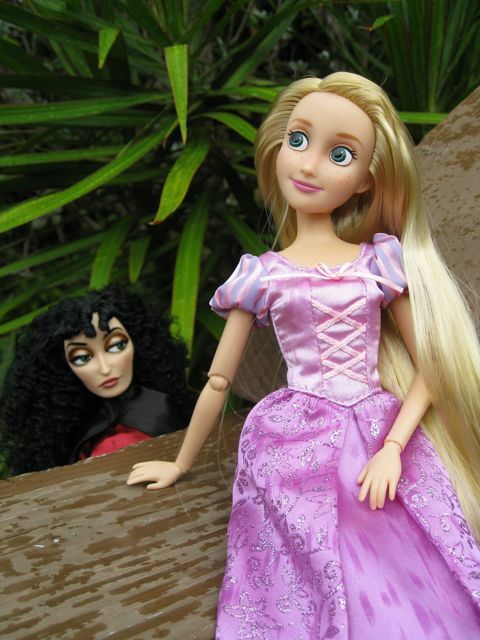 The Disney Store's "Rapunzel" and "Mother Gothel." I have become much more interested in 18" play dolls recently. In the comments section of a recent post, Juliet asked me if I own an American Girl doll, and I felt more than a little silly telling her that I do not. 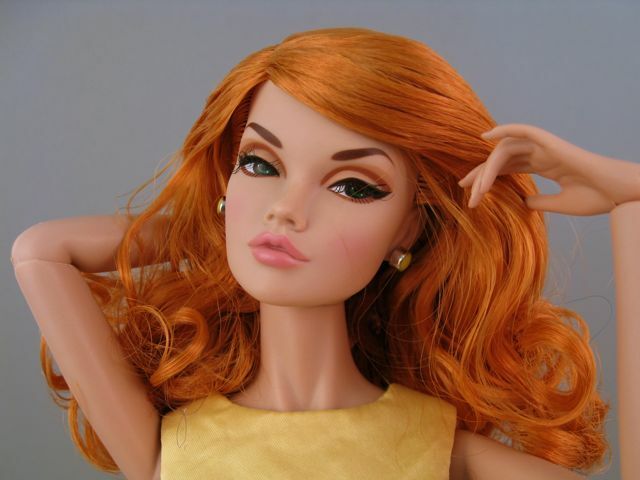 Many of you know that I've thought about this purchase a lot, and I have every intention of reviewing one of these dolls (maybe Rebecca, Saige or Emily? Will you help me decide in the poll on the right? ), but I just can't seem to make it happen. I think part of the reason is that there are so many amazing American Girl resources out there--Doll Diaries and Never Grow Up being among my favorites. 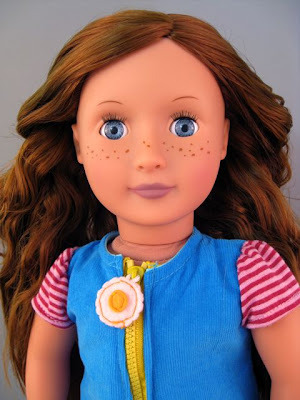 Those sites make me feel like I already have an American Girl doll, and so I tend to be more interested in investigating other options. $18.99 on sale at Target.